He also demanded reservation for four other castes--Gujjar, Raika-Rebari, Gadia Luhar, Banjara and Gadaria in government jobs and educational institutions. Members of Gujjar community hold reservation movement in Sawai Madhopur. 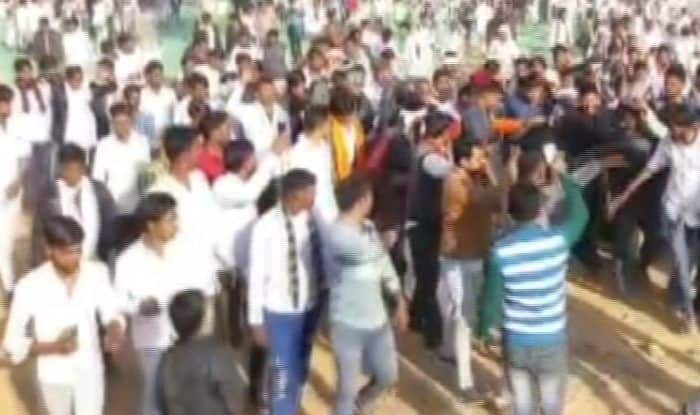 Sawai Madhopur: Members of the Gujjar community on Friday held a reservation movement in Rajasthan’s Sawai Madhopur. Protesting over how the state government hadn’t given them any reservation, Gujjar Arakshan Sangharsh Samiti (GASS) leader Kirori Singh Bainsla demanded a 5 per cent quota. He said, “We want a 5 per cent reservation. The government hasn’t responded to my request. So, I am going to do an agitation. The government should give… I don’t know where they give from.” He also demanded reservation for four other castes _ Gujjar, Raika-Rebari, Gadia Luhar, Banjara and Gadaria _ in government jobs and educational institutions. At a meeting in Ajmer earlier in the day, Bainsla demanded quota. The Gujjars had primarily demanded a shift from Other Backward Category (OBC) to Scheduled Tribe (ST) category. Later, they settled for a special OBC category with five per cent reservation. The protest affected the train movement on the Delhi-Mumbai line. At least four trains have been terminated earlier than their destination, seven have been diverted and one cancelled by Railways keeping in mind the agitation. The protesters marched to the tracks in Sawai Madhopur, about 150 km from the capital city Jaipur, this evening.